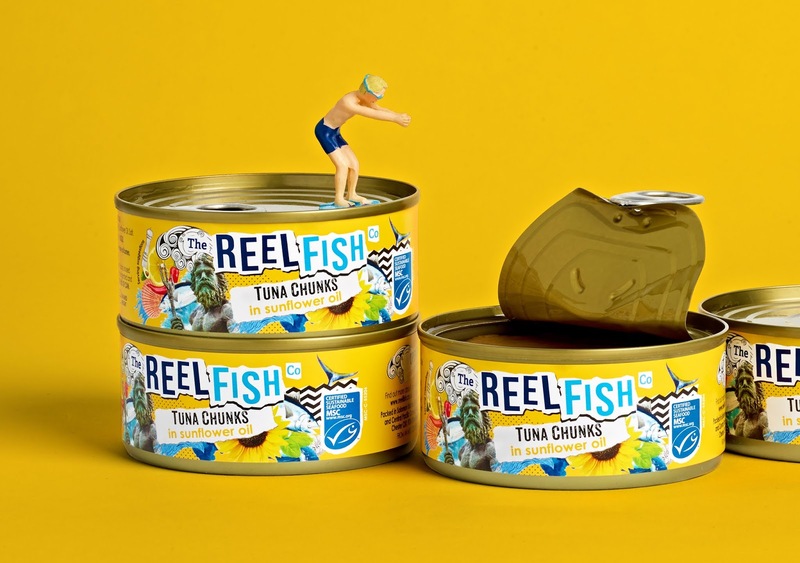 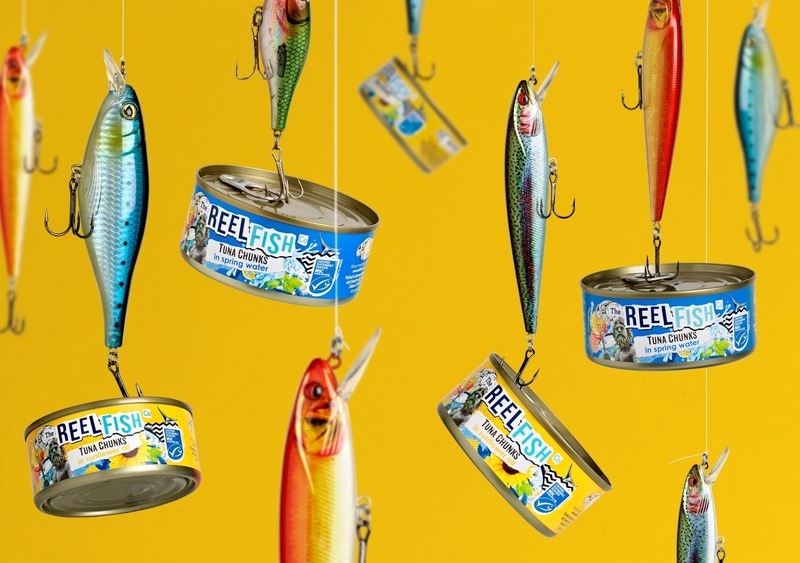 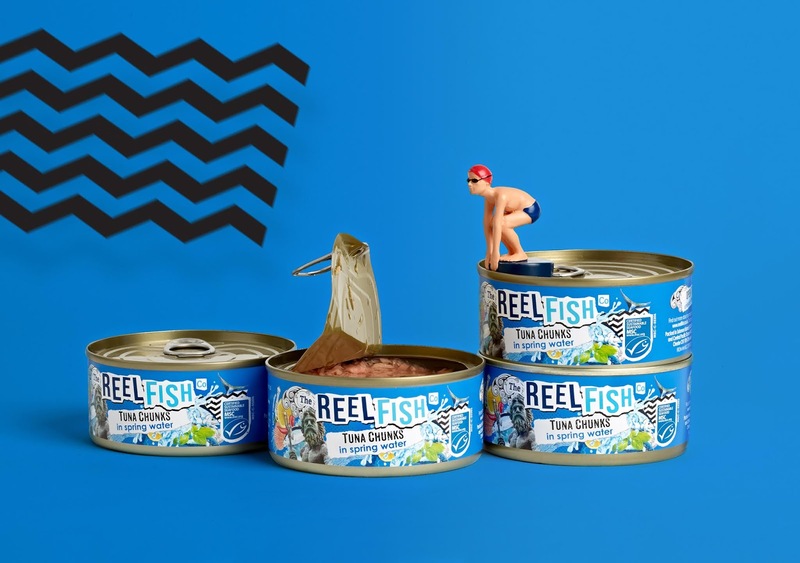 The Collaborators have created a new positioning, brand identity and packaging for The Reel Fish Co. An antidote to the big tuna names, Reel Fish are on a mission to re-invigorate and disrupt the tuna aisle with a challenger brand that looks and behaves differently. 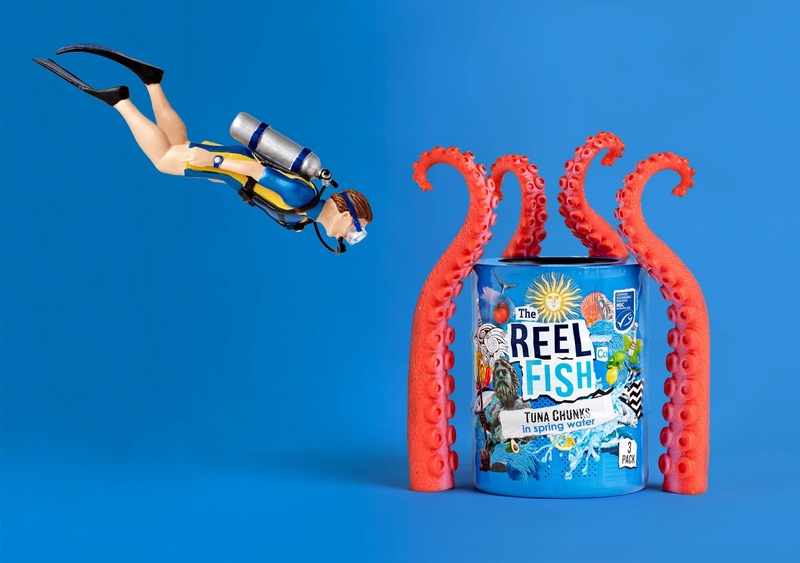 With the positioning ‘Fish Unlimited’ The Collaborators developed a striking and anarchic look, made up of scrapbook ideas bursting out of a bold contemporary logo. 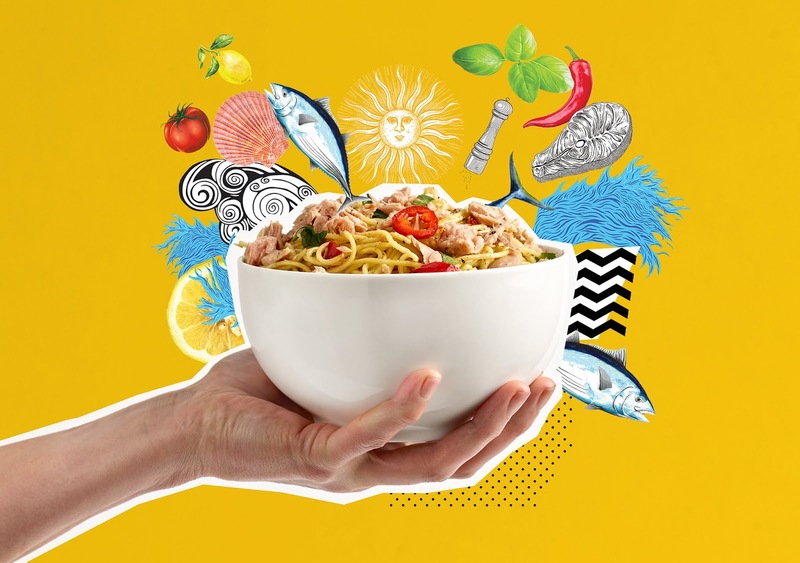 A collage of culinary ideas, seaspiration and flavoursome ingredients, the design is aimed at getting a younger generation on board with tuna and realising its potential beyond sandwiches and potato fillers. 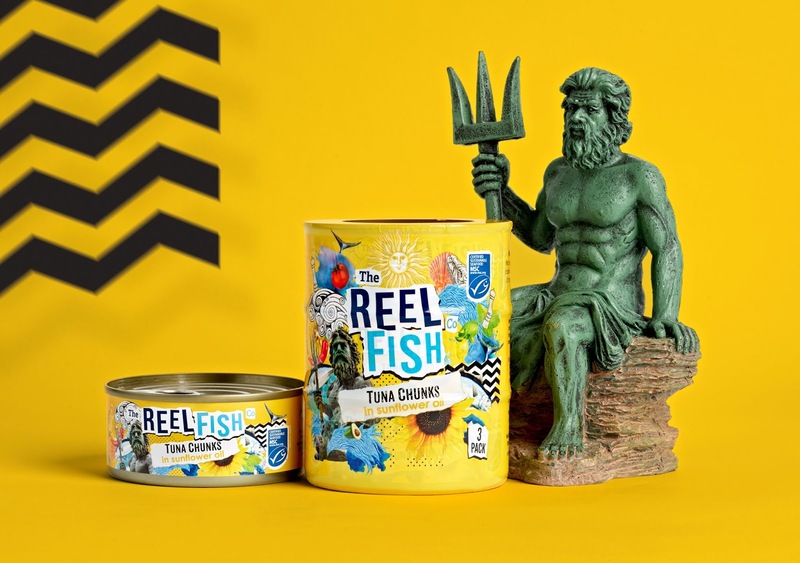 As well as the identity and packaging designs, a vivacious tone of voice was created and a lively fun website was designed which consistently carried the new brand personality and style throughout.